Just as you start becoming proud of yourself for sticking to your new exercise routine, you weigh yourself and discover you've gained weight. It can be confusing, because exercise is generally associated with weight loss, but it doesn't necessarily mean you are doing anything wrong. When you exercise, your goal is to lose fat, not necessarily weight. Exercise can increase your appetite, especially when you are first starting out. If you eat more to stop the hunger pangs, you may gain weight. Many people work out so they can eat as much as they want or feel entitled to high-calorie treats after a vigorous workout, but both of these attitudes can backfire. Exercise alone doesn't burn many calories and an hour-long run can be completely negated with a single slice of cheesecake. Consult your doctor or an online calorie calculator to see how many calories you need in a a day, and don't eat more just because you exercised. Even if you just ran a marathon, eating more calories than you burned will cause you to gain weight. If you do a lot of cardio exercise or are training for an endurance sport like a marathon or triathlon, your body requires high amounts of carbohydrates to produce the fuel you need to power your workouts. Carbohydrates break down into glucose and water molecules attach to the glucose molecules. These molecules can hold enough water collectively to show up on the scale as an extra 3 to 5 pounds. This is only water weight, not fat, and is healthy because it keeps your body hydrated during your training. It's not the same as retaining water between cells, which results in bloating and you shouldn't take diuretics to flush it out. Weight gain can also be from muscle mass, especially if you are new to exercise. Muscle weighs more than fat by volume, so even if your weight is increasing you could still be losing fat and gaining muscle. Endurance sports generally don't cause muscle growth in experienced athletes, but people who are new to fitness may experience slight muscle growth in the beginning as their muscles develop from being challenged in new ways. If resistance training is a part of your fitness routine, the gain may be seen as a sign of progress that means those hours of weight lifting are beginning to work. This is why the term weight loss can be misleading and the term fat loss is more accurate. It is entirely possible that your weight gain is not related to your fitness routine at all. If you have recently begun taking a new medication or are experiencing mood changes or depression, consult your doctor. Certain medical conditions like hypothyroidism can manifest themselves as weight gain, but treatment can usually reverse the process. 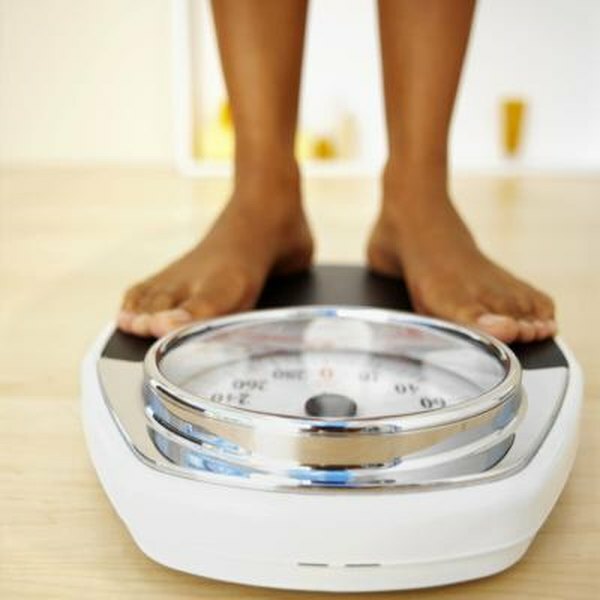 TeensHealth: Why Do I Gain Weight When I Exercise?